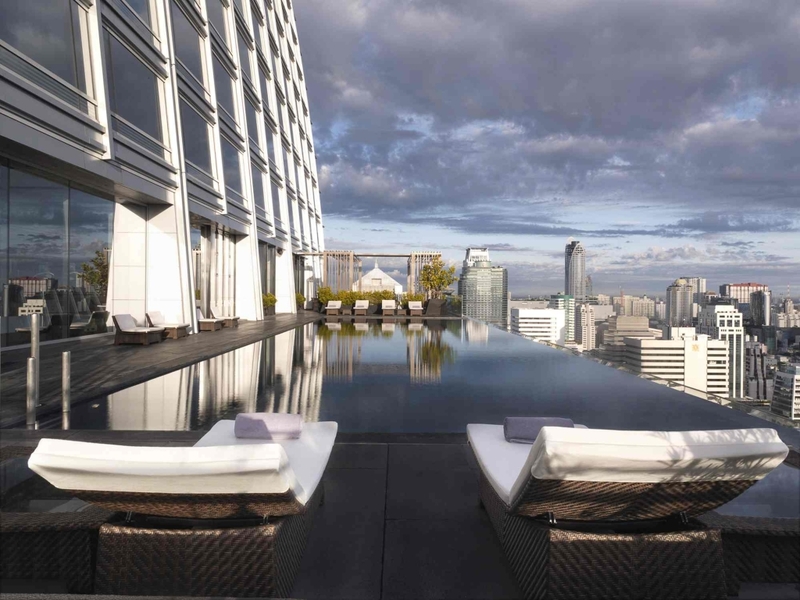 The Okura Prestige is a contemporary five-star hotel located in the heart of Bangkok. 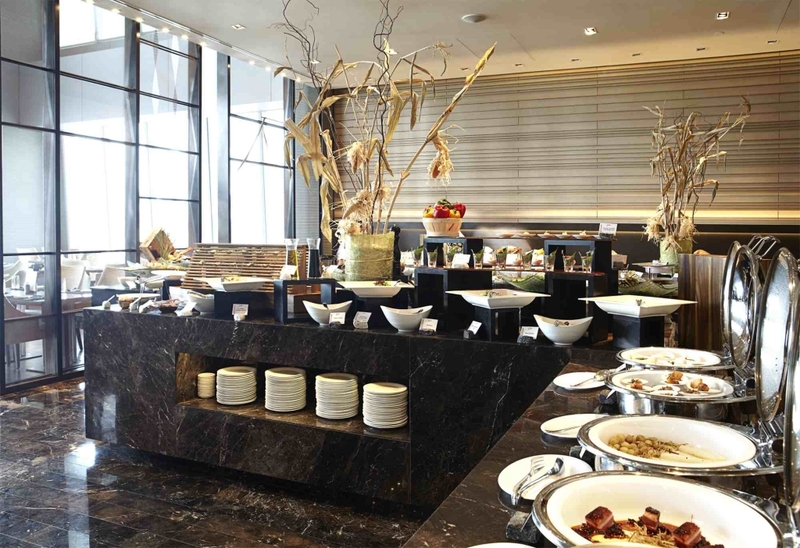 The hotel combines unrivalled levels of comfort and convenience with bundles of warmth and charm. 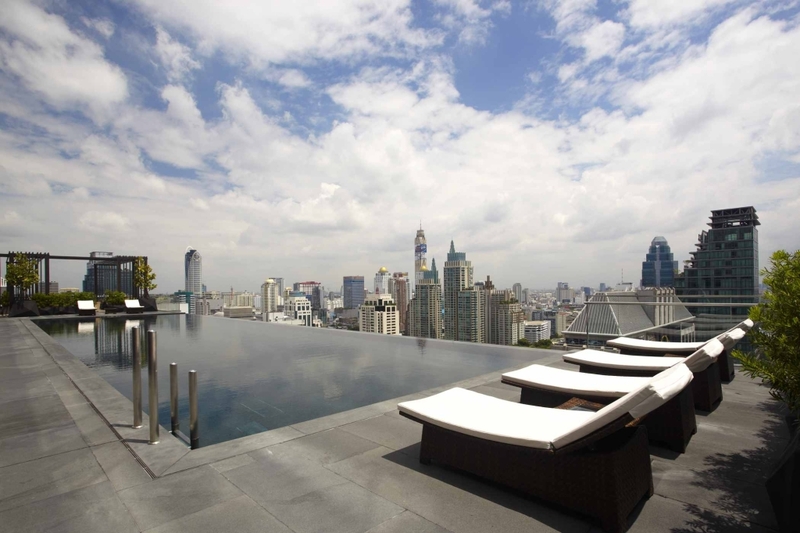 The hotel comprises 240 rooms and suites, all boasting impressive views of the Bangkok skyline. 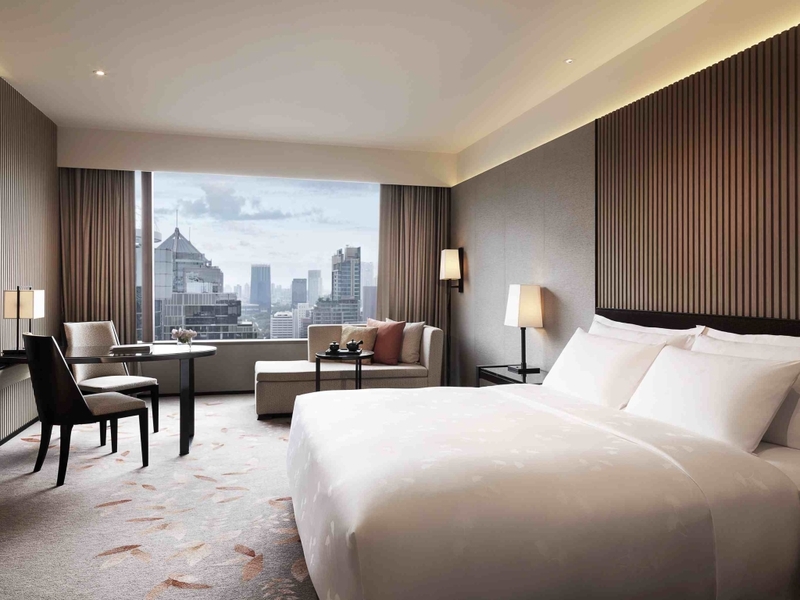 Nestled in the heart of Bangkok, The Okura Prestige is perfectly positioned between modern shopping malls and highly sacred shrines, Only minutes walk from the Phloen Chit BTS Station, the hotel is conveniently situated to access all of the tourist attractions in the hotel capital. Housed in the Park Ventures Ecoplex – there is also a pharmacy, bank, convenience store and Dean & Deluca on site for guests to enjoy. The Okura Prestige simply oozes luxury and comfort. 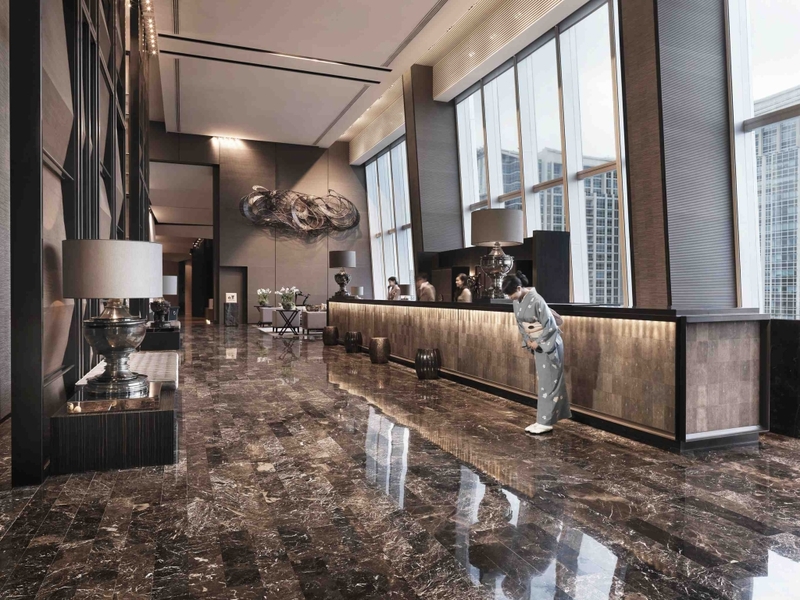 All 240 hotel rooms and suites in Bangkok offer impressive city views through triple-glazed tinted panoramic windows that insulate against both heat and noise. 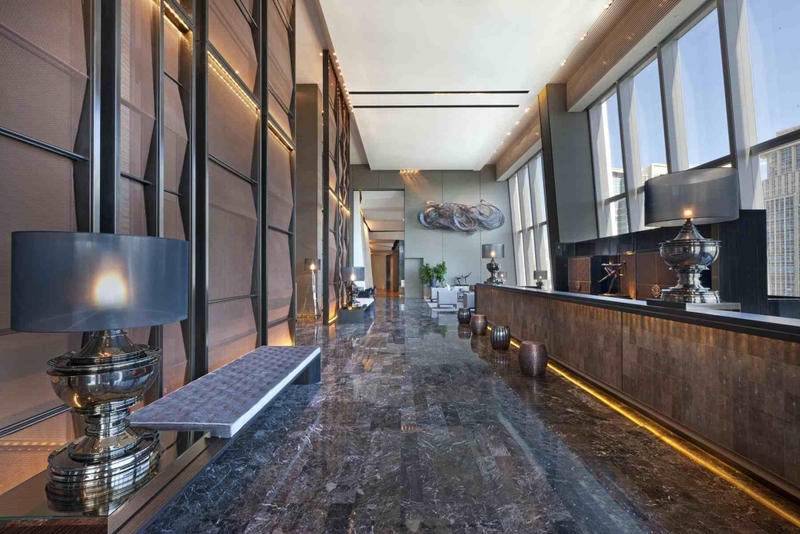 The lobby is a visual feast – the soaring ceiling overlook a myriad of gleaming marble floors, brass fittings and mirrors. 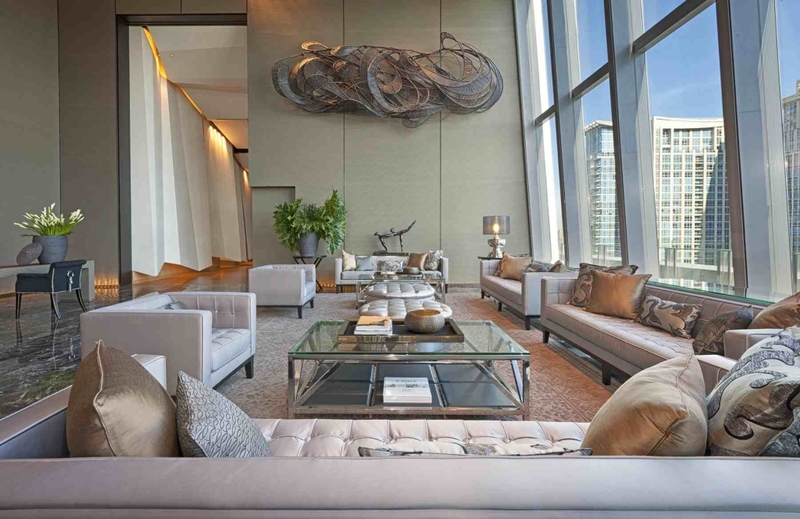 Floor to ceiling windows are fitted throughout to take advantage of the spectacular views. 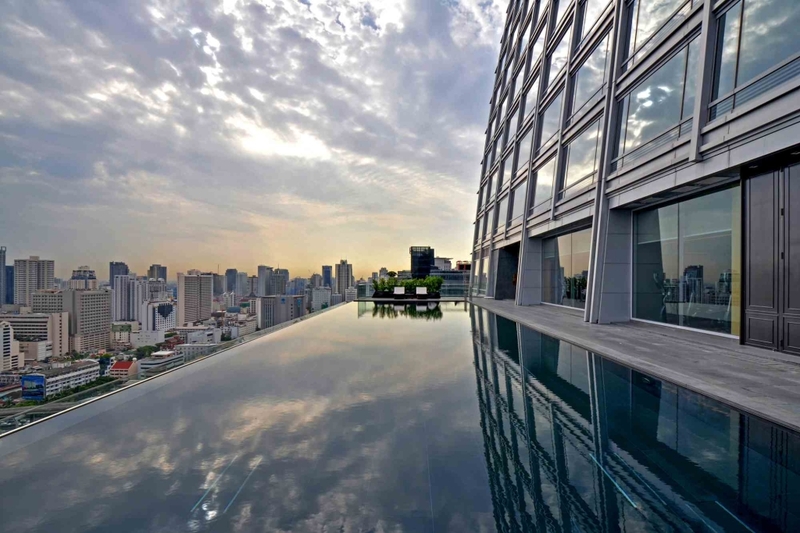 Perhaps one of the best architectural features of the Okura Prestige Bangkok is the 25 metre infinity pool which is precariously perched 25 levels up, offering a bird’s eye view of the Bangkok skyline. The pool is a great place to relax on a sun lounge and escape the city crowds for the afternoon. There is also a sauna, in-house spa and a state of the art fitness centre on the same level for guests who like to keep in shape during their stay (unfortunately not me on this occasion!). 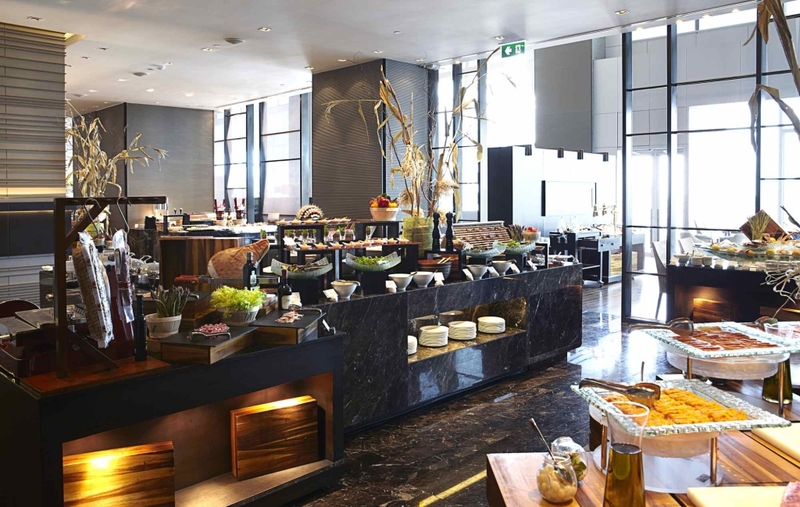 The Club Lounge (for an additional charge) is also located on Level 25 and offers an intimate dining and lounge space exclusive to Club guests. Guest access includes all day refreshments and evening cocktails and snacks . We stayed in the deluxe room on the 31st floor. The sleek, minimalist look and feel takes advantage of its 45 square metres of space. Adaptors are available to charge appliances on a well equipped work desk. The bathroom has been cleverly designed equipped with sliding doors to minimise or maximise privacy.A nice range of amenities are provided including shower gels, bath robes and slippers. The separate toilet has a Japanese-style bidet and bespoke amenities. The king bed is incredibly comfortable and luxurious, made up with fine Egyptian cotton bed linen..
Free Wi-Fi is also available throughout the hotel, however it was often intermittent near the pool area. 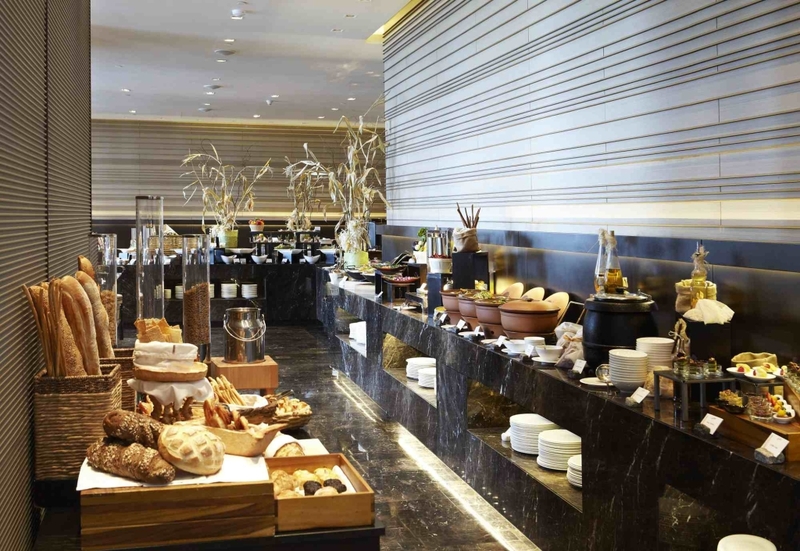 A great range of dining options are available at the Okura Prestige. 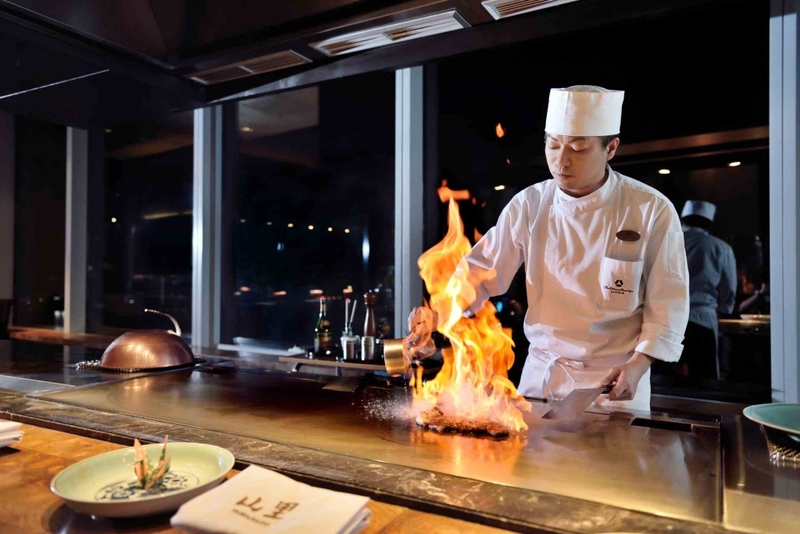 Guests can embrace Japanese haute cuisine at Yamazato, ‘modern logical cuisine’ at Elements and endless varieties of Asian and western dishes at our all day dining venue Up & Above. There are 11 distinctive categories of accommodation which prices fluctuate according to the season. These prices are based on the time of booking (April). Highlight: The pool and spa facilities. Low light: Cleaning rooms too late in the afternoon.